The following is a critique for Groundhog Day, as submitted for a Cinema class at Regent University. 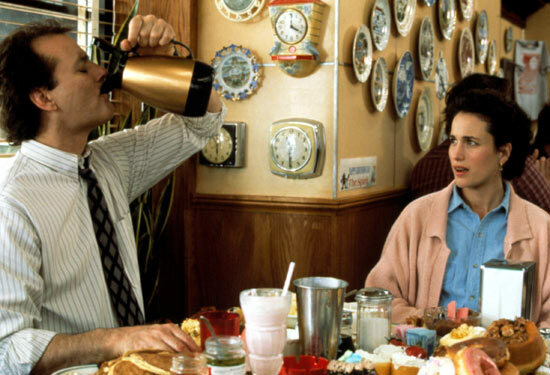 The 1990s classic Groundhog Day is a surprisingly philosophical and yet charming science-fiction film disguised as a romantic comedy, complete with a fantastical premise and unique narrative structure. The film has generated countless discussions and academic works in relation to its deeper meanings that have earned it status as a modern-day parable. 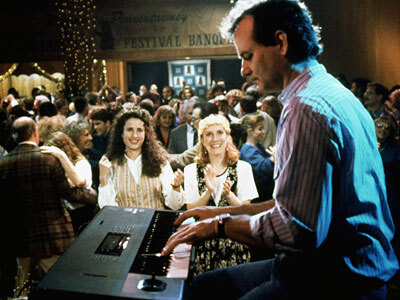 However, Groundhog Day would not be so celebrated or controversial had it not first been genuinely funny, as the director and co-writer Harold Ramis insisted it be just that. For most of the movie, the colors and lighting of the film seem somewhat muted and bleak. This is probably because of Phil’s predicament of being trapped in an endless winter. Being on the eve of a blizzard, the day that Phil is trapped in is very overcast, and the colors seem to reflect the hopeless feeling that begins to dominate Phil in the second act. Phil often refers to his predicament as a “long winter,” and the radio host starts his broadcast by saying “It’s cold out there, folks!” Phil’s sarcastic, cold demeanor towards the other characters also reflects this frigid theme, and the colors help set the mood for Phil’s outlook on his seemingly meaningless life. Lighting is used very strongly in a few scenes in particular. In the scene in which he has taken a woman to his bedroom, the room is lit with reds, reflecting the passion and lust of the moment. In the romantic scenes between Phil and Rita, particularly towards the end, the scenes contain soft colors that accentuate the romance. In the club scene, a myriad of lights reflect the crazy atmosphere of the town in party mode. 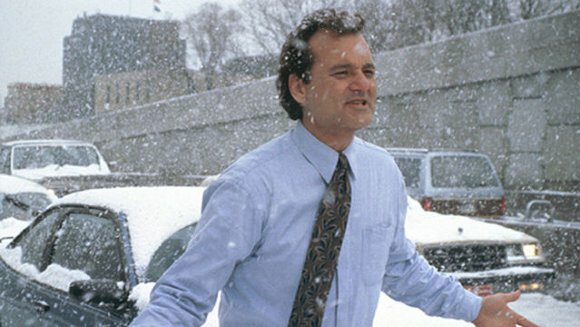 Most notably, in the final scene wherein Phil has escaped Groundhog Day, the sun is radiant and reflecting off the fresh snowfall, creating a very bright, welcoming, Heaven-like feeling; this change reflects a sharp contrast to the rest of the movie. Interestingly enough, both the opening credits, as well as the end of the movie, frame a bright, partly cloudy sky. The soundtrack of the film largely ties in to the film quite smoothly. Some of the first lyrics we hear are “I’m your weatherman,” obviously alluding to the main character’s profession. 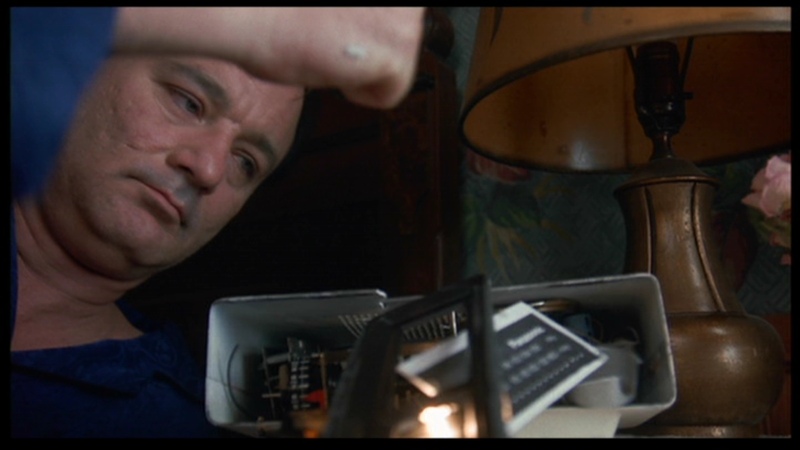 The lyrics that Phil wakes up to on each Groundhog Day are “I got you, babe”; this seems to imply that Groundhog Day literally has “got,” or trapped, Phil. The song which the town’s citizens are singing as Phil shows up to the park for the main Groundhog Day event has a strangely goofy sound to it, reflecting the unique nature of the citizens that Phil meets. During one of the “first dates” between Phil and Rita, the song “You Don’t Know Me” plays while they dance, echoed by Rita’s rejection of Phil’s early declarations of love; “You don’t even know me,” she says. “This is love,” Phil insists, but Rita stands her ground: “You don’t know what love is,” Rita says. She’s right; Phil may know facts about Rita, but he doesn’t really know the noble qualities that makes her tick, particularly the inherent kindness and true love that he lacks. The fact that Phil chooses a piano as the instrument he learns to play, as well as the style he plays during the club scene (Jazz), both maximize the possibilities for musical variation and creativity—Jazz, by its very nature is versatile, while the piano has a plethora of keys. Phil echoes this theme when he says, “I’m versatile,” a term that Rita used earlier to describe his inspiring speech at the latest Groundhog Day. The director also uses the sound of a piano and a simple shot to tell the story of one scene in particular: While keeping the exterior of a house framed as a piano plays in the background, the music suddenly stops, a girl is shoved outside, and the piano begins to play again with much simpler notes, indicating that Phil has begun his first lesson. Camera movement is fairly limited in the movie, mostly consisting of pans. A notable exception is a repeated shot which starts on the alarm clock on the night stand as the radio turns on, then pulling out and panning over to a close-up of Phil’s face as he awakes. The following shot is also repeated in which it starts as a long shot of Phil getting out of bed, pas as he walks to the bathroom to splash water in his face, and then pans back across the room as he re-enters the bedroom. 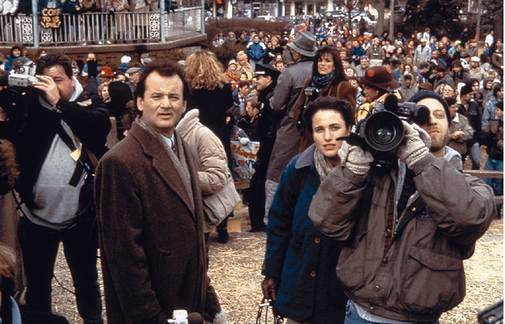 Another more complex shot that is repeated is a crane shot when Phil first enters the Groundhog Day festival: at first, this shot pans with Phil, but as he passes the camera the crane rises to reveal the large crowd that is forming. Another crane shot starts with a slowly rotating angle from above the club scene as dancers spin beneath, then the camera descends and levels off at eye level; this shot ties into the perspective of the very next shot which is a dolly backwards, framed at eye level, as three characters walk forward. Another interesting shot was an extreme close-up and slow motion shot of the clock’s digits epically turning from 5:59 to 6:00, complete with loud sounds indicating that this is indeed the moment that time jumps back twenty-four hours. Of course, the script is by far the most fascinating aspect of the film. In fact, “Groundhog Day is a cultural text that serves as a parable and rhetorically exhorts viewers to learn moral and spiritual lessons and behave in new ways” (Daughton 139). By violating natural laws of space and time, Groundhog Day is able to illustrate poignant and somewhat radical ideas about life. 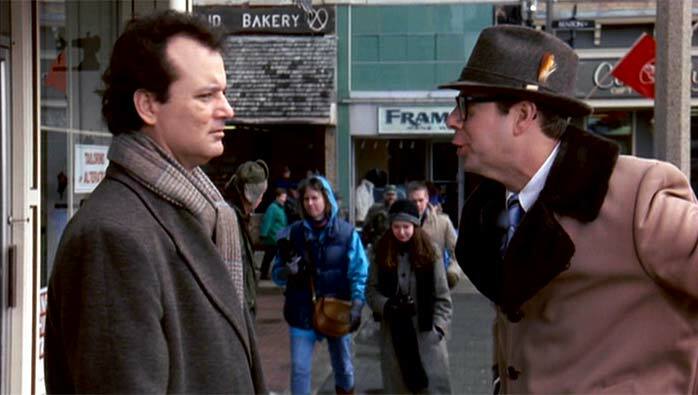 It is no coincidence that Phil’s name is also the groundhog’s name, and the film is itself philosophical. The writers feature Phil demonstrating various versions of humanity’s philosophies through the course of the movie. Phil is at times a Nietzche (seeing no meaning, he repeatedly commits suicide), at times a hedonist (“We could do whatever we want”), at times a polytheist (“I’m a god, not the God”), at times a charitable savior (the boy in the tree, the Mayor), not to mention his daily “reincarnation,” which is an allusion to Hinduism. On his final Groundhog Day, he becomes a part of the town and reaches a sort of Nirvana, evoking Buddhist themes. The idea of living in service for others is also a theme in Christianity. In the final scene, it is clear that Phil’s happiness is no longer found in pleasing himself, but in pleasing others. 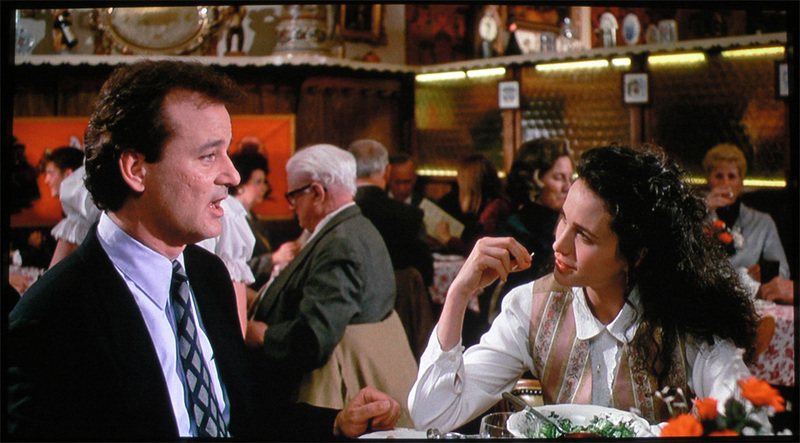 He asks Rita, as soon as he discovers he is no longer trapped in Groundhog Day, “Is there anything I can do for you?” His transformation from selfishness to selflessness is complete. 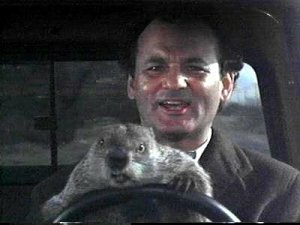 The first few scenes in the movie introduce weatherman Phil as an arrogant man who cares only for himself; he feels that covering Groundhog Day is beneath him and cannot wait to flee the town. However, the blizzard traps him in town, a foreshadowing of being trapped in Groundhog Day for what is likely years, though the exact length of time is never revealed. Interestingly enough, the only forecast we see Phil make as a weatherman turns out to be incorrect; he turns out to be wrong about the blizzard missing the Pittsburgh area. His professional prediction is unreliable. However, once he begins to re-live Groundhog Day, he is obviously able to accurately predict events, to a degree; when he sets out to manipulate outcomes, he is not always successful, despite countless attempts. “Groundhog Day presents one man’s metaphorical journey away from the stereotypically masculine pursuit of Power and agency, the drive to control his life and the people and events in it” (Daughton 143). The irony that Phil can only control events up to a certain point is true of the human condition in that we can expert certain things to happen due to prior experiences, but we cannot accurately predict everything that people will do; every person is a unique agent, and when two or more agents interact, outcomes will vary. As stated previously, “when (Phil) first realizes he’s not crazy and that he can, in effect, live forever without consequences-if there’s no tomorrow, how can you be punished? He indulges his adolescent self” (Goldberg 36). This hedonistic lifestyle is ultimately unfulfilling, and his attempts at winning the affections of his true love, Rita, fall flat time and again. In fact, the film could be looked at as a rebuttal of post-modern and hedonistic philosophies: “Connors’s metamorphosis contradicts almost everything postmodernity teaches. He doesn’t find paradise or liberation by becoming more ‘authentic,’ by acting on his whims and urges and listening to his inner voices. That behavior is soul-killing” (Goldberg 37). Though he is not aging, Phil seems to be maturing before our eyes. He realizes that he is “stuck in the same place,” and wondering what if “nothing you ever did mattered,” to which another character replies: “That sums it up for me.” This literal repetition of events with some variation is therefore strikingly similar to each person’s individual life in which certain elements of one’s life are continually repeating; everyone can fall into a monotonous routine of going to work everyday and seemingly living a meaningless life, as Phil finds himself doing. Phil is always seeing “the glass half empty,” as one character says. He can never satisfy his desires, particularly his one deep desire: winning Rita’s heart, even after years of attempts. Is it any coincidence, then, that the ice on his bedroom window seems to have formed the shape of an eye through which Phil can see the world? One day it looks bleak, the next bright and magical, complete with a fresh snowfall. His worldview, his very way of living, has completely changed. “Connors eventually achieves spiritual growth by completely revising his estimate of what ‘getting it right’ means. Phil Connors learns the hard way, one concentrated day at a time, how to live his life” (Daughton 144). By forgoing his own desires for the desires of others, Phil finally learns to truly love. He is no longer consumed by his own wants; instead, he immerses himself in the town that he once hated, completely content in making the quirky town his home. Groundhog Day.” Critical Studies in Mass Communication. 13. (1996): n. page. Print. Goldberg, Jonah. “A Movie For All Time.” National Review. 57.2 (2005): n. page. Print.